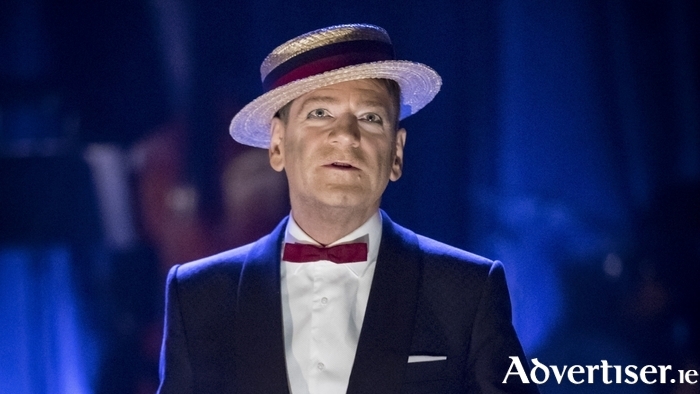 Kenneth Branagh in The Entertainer. FOR ONE night only, the Branagh Theatre Company’s acclaimed production of John Osborne's The Entertainer, will be screened live via satellite to The Eye Cinema, Wellpark. Set against the backdrop of post-war Britain, Osborne's play conjures the seedy glamour of the old music halls for an explosive examination of public masks and private torment. Rob Ashford directs Kenneth Branagh as Archie Rice, in the final production for the ‘Plays’ season at the Garrick. The play will be screened this evening [Thursday October 27] at 7.15pm. Early arrival and booking are advised through www.eyecinema.ie or 091 - 780078.